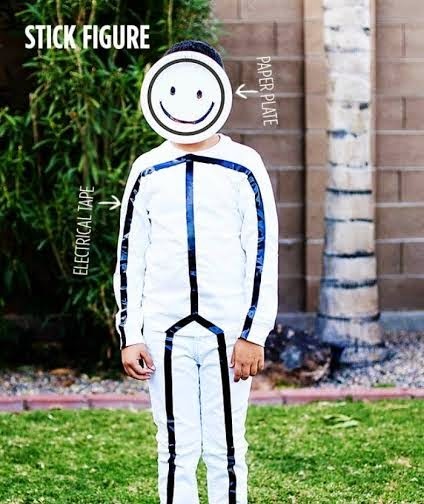 These quick and simple Halloween costumes make the perfect outfits for your little trick-or-treaters this year! 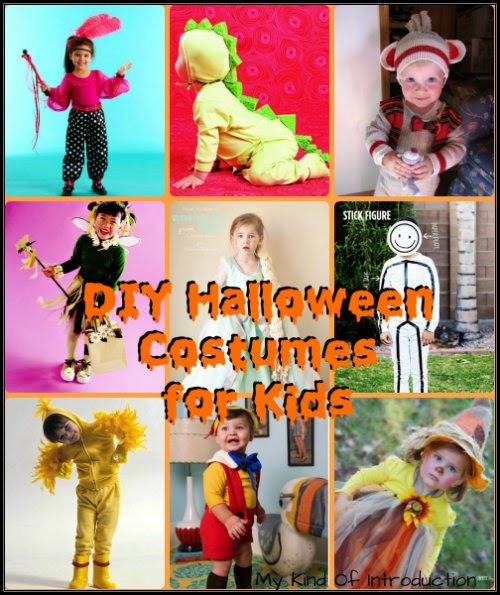 They're all absolutely adorable and can be created while using a small amount of time and money! 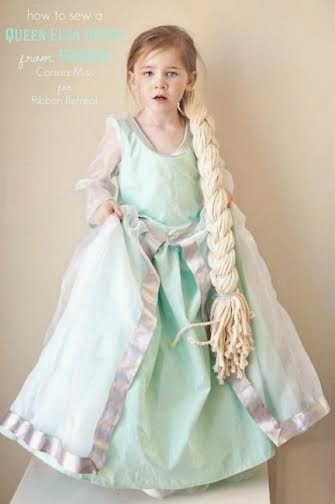 From Elsa to Pinocchio. 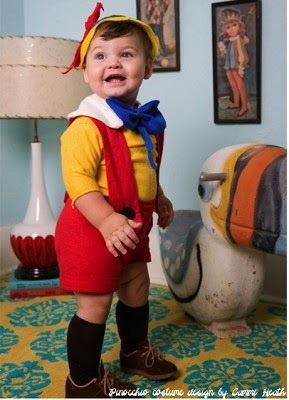 The clothes needed this adorable Pinocchio costume should be easily found in thrift stores and possibly even in your sons closest. What you need is a pair of RED shorts, a YELLOW shirt, a RED bow tie or RED fabric to create one. You can either use actual RED suspenders or use strips of red fabric, attach them with buttons, Velcro or by sewing, to the back and front of shorts. If you use fabric, make sure you cut the straps long enough to be comfortable but short enough to not fall down throughout the night. 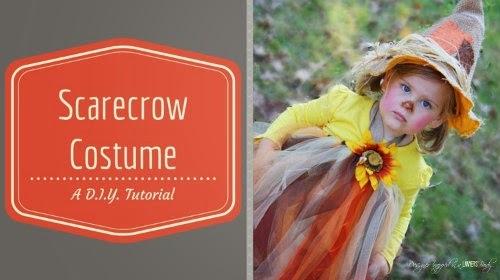 Here’s a simple Halloween costume for a child that you can make in just a few minutes for less than $2. 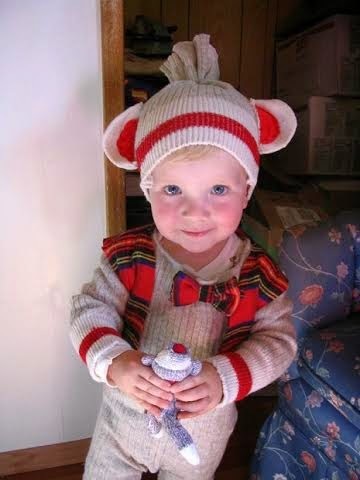 Simply take an infants one piece, a matching cap, and some coordinating sponges. Cut the sponges into triangles and attach to the outfit using fabric or craft glue. Experiment with alternating colored sponges for a different look. This is an easy project for someone with minimal sewing skills. 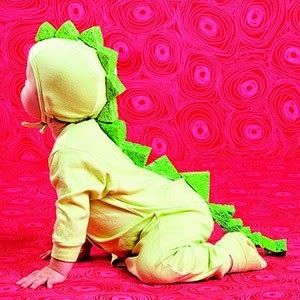 And it's super cute and cozy for chilly trick or treating! 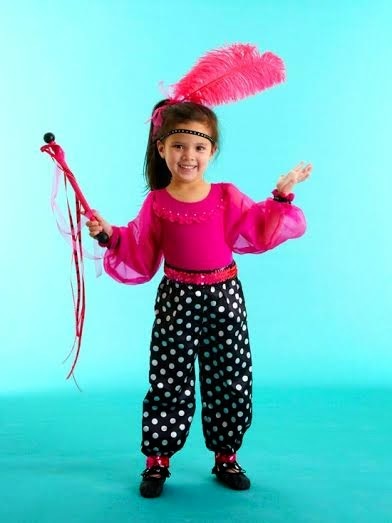 This flashy circus girl costume is made easily from a pair of satin pajama pants, a leotard with filmy sleeves, and sparkly embellishments. 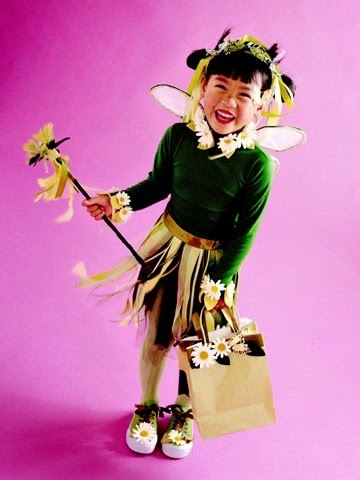 Get a woodsy look by gluing silk flowers to a green leotard paired with brown or tan tights. For the skirt, cut a waistband from thick ribbon, then hot-glue lengths of ribbon to the band; back the ribbon skirt with a layer of green tulle. Cut wing shapes from sheer fabric, then wrap and glue the edges around green chenille stems. 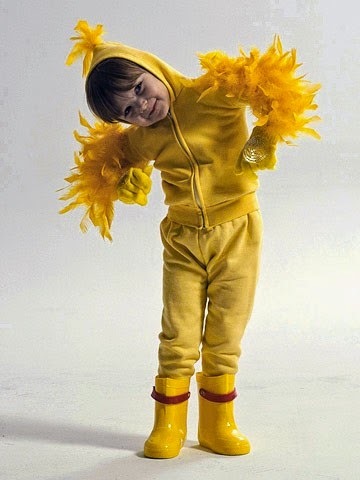 Attach the wings to the leotard with hook-and-loop fasteners. Use more ribbons and flowers to dress up a plain headband, dowel-rod wand, gift bag, and green tennis shoes.